Gemini Promotions represent Dream Street cabaret duo, Katy and Rob Norfolk Duo. 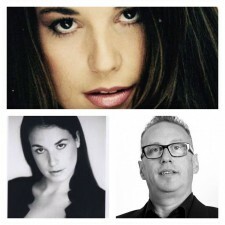 Gemini Promotions represent Stephanie Mackentyre & Steve Rhodes cabaret duo. This Site Is constantly being updated and shows many of our represented acts. We are a well established Entertainment Agency based in King's Lynn, Norfolk that was formed in 1997. We have hundreds of acts registered with our agency, and we are constantly seeking new Artistes and new Venues in which to place them. We also host regular Showcases where we invite clients to view up to a dozen acts in one evening, giving a taster of some of our new and established talent. We offer all types of entertainment for all occasions anything suitable for your major Corporate Event, Military function, Wedding Entertainment, Social Club function, Conservative Club, British Legion Club, Care Home Entertainers, Hotel, Restaurant, Holiday Park or to your Party in the Garden. Look no further, if we can't provide it, it probably doesn't exist. Our ever growing database is bristling with quality acts of all types awaiting your approval. Our acts are all vetted personally, or by our representatives to give you the necessary confidence and help minimise the disappointment factor often associated with (new to you) entertainers. Our client base is predominantly located in the East Anglia region but we still supply entertainers to anywhere in the UK. We have many clients that have been using us for all their entertainment needs for more than 12 years, which only serves to show that client satisfaction is high on our priority list and that the professionalism in the way we handle our clients, in every way, is paramount. My personal involvement in the entertainment industry as an entertainer, to date, spans twenty five years and, yes, I still perform regularly. This also helps to keeps me very much in touch with the current entertainment scene enabling a more intelligent artiste selection process when offering acts. So if you want your whole years entertainment organised with just one phone call or just that odd date or cancellation filled, or even information on what type of entertainment would best suit your needs, contact us here at Gemini Promotions Entertainment Agency for all the very best service in entertainment. Gemini Promotions Entertainment Agency in Norfolk represent many acts from many areas, although based in Norfolk we can provide Entertainment to all parts of the United Kingdom. We currently provide acts on a regular basis to venues around Norfolk, Lincolnshire, Cambridgeshire, Bedfordshire, Northamptonshire, Essex, Peterborough and Huntingdon. As you can see we handle all types of entertainment, including Bands, Cabaret Acts, Care Home Entertainers, Clairvoyants, Comedians, Discos, Drag Artists, Duos, Female Vocalists, Guitar Vocalists, Hypnotists, Karaoke, Keyboard Vocalists, Magicians, Male Vocalists, Mind Readers, Pipers, Psychic Mediums, Speciality Acts, Toastmasters, Tribute Acts, Wedding Discos, Wedding Singers and much much more. would very much like to hear from you with your enquiry. Gemini Promotions can be found under the headings of Norfolk Entertainment, Entertainment Agency Norfolk, Entertainment Agencies Norfolk, Entertainment Agencies East Anglia, Entertainment Agent Norfolk, Gemini Promotions Kings Lynn, Gemini Promotions King's Lynn, Entertainment Agency Kings Lynn, Entertainment Agency King's Lynn, Entertainment Agency Essex, Entertainment Agency, Lincolnshire, Entertainment Agency Suffolk.Entertainment Agencys, Entertainment Agency Bedford, Entertainment Agency Cambridge, Entertainment Agent Cambridge. Entertainment Agency Peterborough, Entertainment Agent Peterborough, Entertainment Agencies East Anglia, Entertainment Agencies East of England, Entertainment Agency Suffolk, Entertainment Agencies, Entertainment Agency Essex.Entertainers, Entertainers Cambridge, Entertainers Suffolk, Entertainers Essex, Entertainer, Entertainers Lincolnshire, Entertainers Peterborough, Entertainers Norfolk. Wedding reception entertainment, Wedding Bands, Tribute Bands and Wedding Entertainment. 01553767499, 01553 767 499. Entertainers Cambridgeshire, Entertainers Lincs, Entertainers Cambridge, Entertainers Norfolk, Entertainers Essex, Live Music. Gemini Promotions may also have their artistes refrred to as Singers, Vocalists, One Man Bands, Drag Artists, Groups, String Quartets, Harpists, Jazz Bands, Guitarists, Big Bands, Orchestras and Musicians. Gemini Promotions represent many more acts than are shown on this website so please contact us if you cannot find what you are looking for.